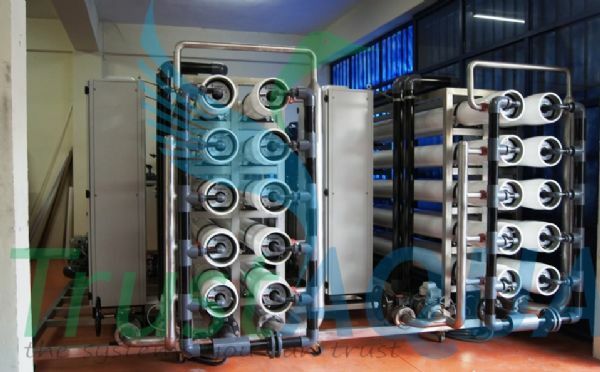 Reverse osmosis systems, with the most general definition, is removal process of the anion and cation ions by an advanced filtration method which the highest technologies are used as a water treatment system. Water is forced to pass from a semi-permeable membranes pages which has 5 angstrom size pores with diameters by applying high pressure. Water, cross flows from the surface to the center of the membrane. 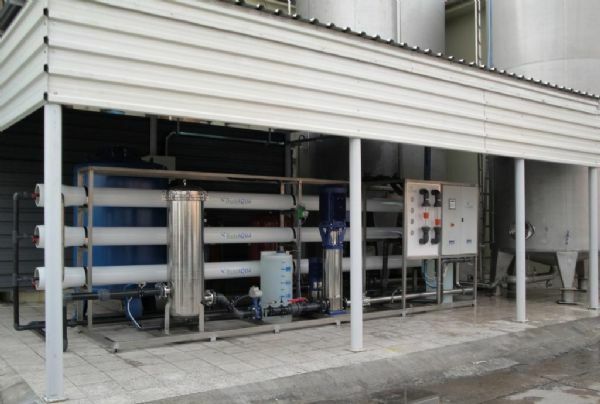 During this transition, organic and inorganic substances, heavy metals, projects veins, bacteria, etc. i the structure of the water retains by the membrane and discharges from the reject line. 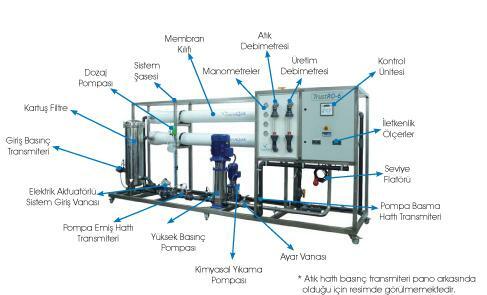 %95 - %99 Purified water can be collected to a tank through permate line. 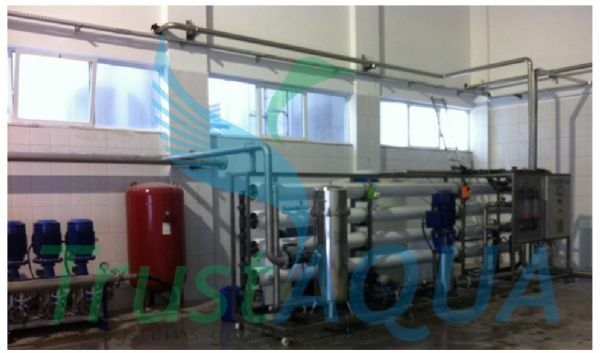 System "autoflush" before the production starts in order to clean the surface of the membrane. 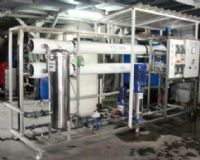 In this type of systems, for longer and effective use of membranes, pre-filtration and dosing systems must be done correctly. Automation is always in the foreground at the systems of TrustAQUA. There are 4 analog pressure transmitters measuring the values continuously. In addition to the transmitters, the energy saving device frequency drive is in the standard manufacturing scope. 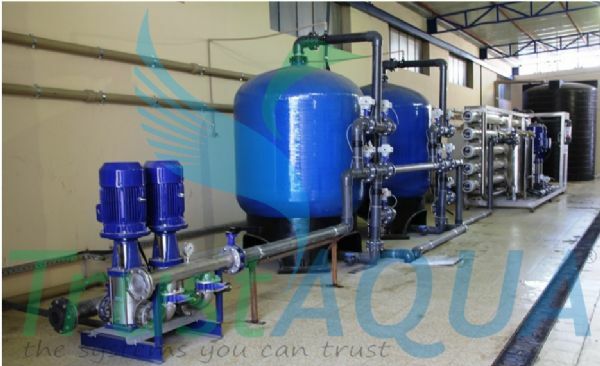 By the pressure transmitters mounted at the inlet and outlet of the filter, the blokage can be identified and "Cartridge Filter Blocked" warnin is given automatically. By the pressure transmitter mounted at the high pressure pump inlet, prevents the pump from the damages due to low pressure or gatherinf air. In the case "Low Inlet Pressure" warning being given automatically and the system stops. In order to protect the membranes from the damages of high pressure above the permitted limits, o pressure transmitter is mounted to the outlet of the high pressure pump. When the pump outlet pressure exceeds the set point than "High Membrane Inlet Pressure" warning being given automatically and the system stops. 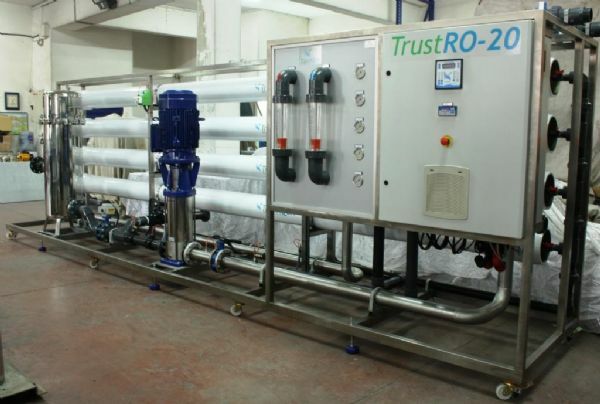 In order to protect the membranes from the damages of closed reject line valve, a pressure transmitter is mounted to the reject line of the reverse osmosis system. When the reject line valve being closed than "High Reject Line Pressure" warning being given automatically and the system stops. Membrane selection softwares are selecting the high pressure pump capacity based on the performance of the membranes after 2 - 3 years working period. At the new systems pumps is running with ecxess capacity. 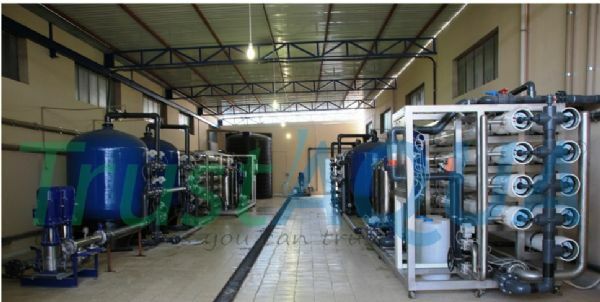 We provide %20 to %30 energy saving by lowering the speed of the pump to system needs (for about 2 years) by the frequency drive. Systems which purchased for savings in the production and higher quality could bring more loss than the calculated savings when damaged. For this reason, in your new reverse osomsis investment, the mentioned features and security measures has great importance.